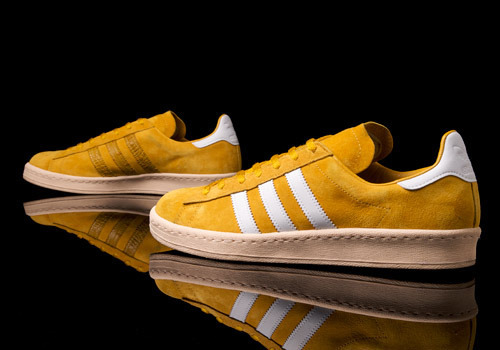 Having just bagged a pair of the new B-Sides Campus 80s, it was thought that the site could benefit from a belated review of the previous collaboration between adidas and Footpatrol on this particular model. I was lucky to pick up the new ones without doing the campout-and-queue-all-day action. I usually never make it to exclusive drops because I don’t keep my ear close enough to the ground, so never find out until it’s too late, but on this occasion I had got the word and there was no way I was going to miss this. 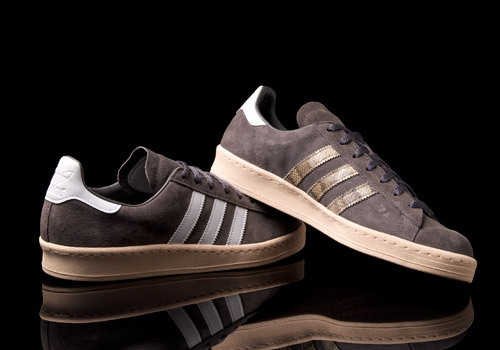 The adidas Campus in its original ‘Made In France’ cut – as with the Superstar 80 – is in my opinion adidas’ finest moment. 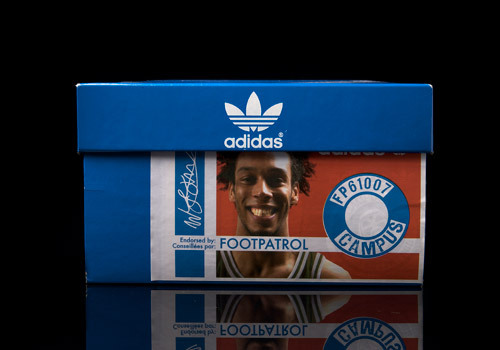 I had heard from C-Law, who was working for adidas in Portland at the time that these were dropping and so I got to Footpatrol first thing in the morning and joined the queue. There were 3 colourways dropping that day and they were beauties! 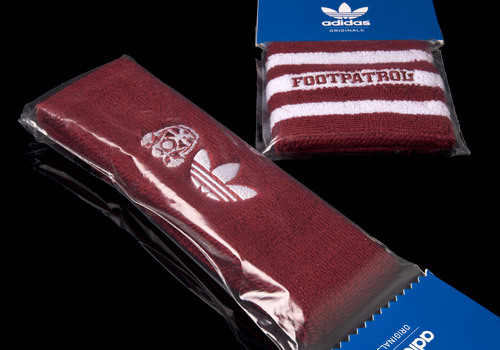 Grey, burgundy, and gold with matching sweatbands. I already owned a pair of the original Campus in grey and in burgundy, bought in 1990, but over the years they had discoloured. When I saw the advance photos of these new Campus 80s, I had a moment of nostalgia that almost brought a tear to my eye. The reproduction of the shape and colour was perfect, which to be honest is not the case with most re-issued vintage models. 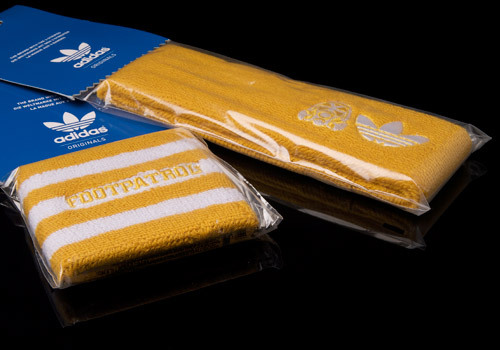 They had also (as with the latest collab) featured an animal skin effect on the inner stripes, a very nice touch just subtly distinguishing the shoe from the more standard re-issues that were to follow. Another effect that was added, that was not featured on the standard design but only on specials, is the off-white tint on the outsole. Now, don’t be thinking I mean one of those awful artificial aging jobs that they do with the Nike reissues, after all, buying those is akin to buying jeans with rips already in them (something that was all too popular in the 80s and early 90s). No, this is proper attention to detail. The originals never had pure white outsoles. I don’t even think they made the materials in pure white until the 90s. 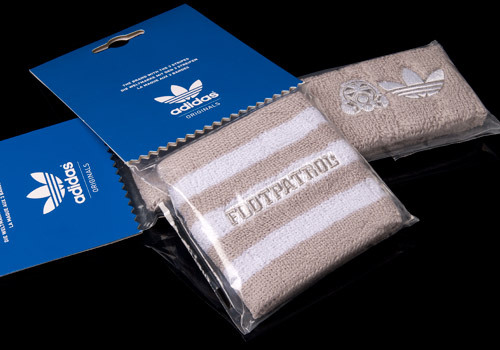 Each punter was allowed to buy only one pair at a time, so as to prevent moneybags from buying up the whole stock and selling them on eBay the next week for three times the price. So, if you wanted all three colourways you would join the line and after copping your first pair would go to the back and start queuing over again. It was an entertaining day. They laid on some pretty girls decked out in the shoes and sweatbands, handing out drinks and whatnot and some b-boys had been brought along to spin around on some lino for a bit. One of them almost span into Rupert Everett as he strolled past. Of all of the Campus 80s drops, for me this is the first and best.